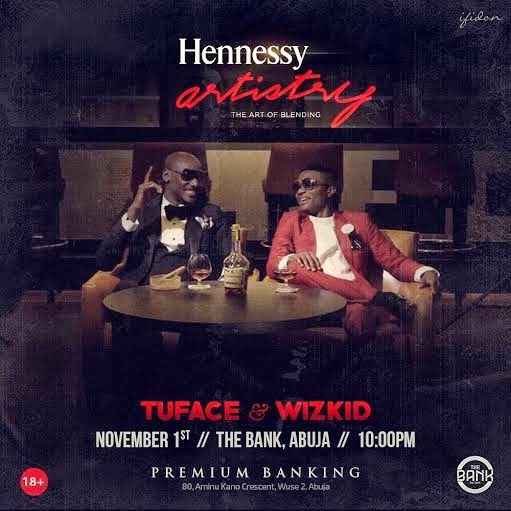 The legendary 2Face Idibia and Wizkid brought together to make this Hennessy Artistry at one of the most outstanding clubs ever, The Bank Abuja this Saturday November 1st, a diamond crested one, right immediately after his Triple Threat Tour gig also on the same day at The Congress Hall Transcorp Hilton. 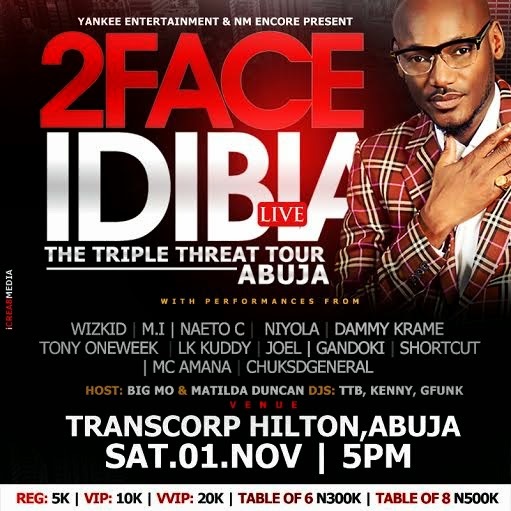 Abuja is coming super alive this weekend. Be there!..